The word 'Davao' conjures an animated mosaic of eclectic imagery - Duterte, durian, Philippine Eagle, mangosteen and Mount Apo to name the iconic ones. Allow me to add one more - Fabulous Dabawenyos! 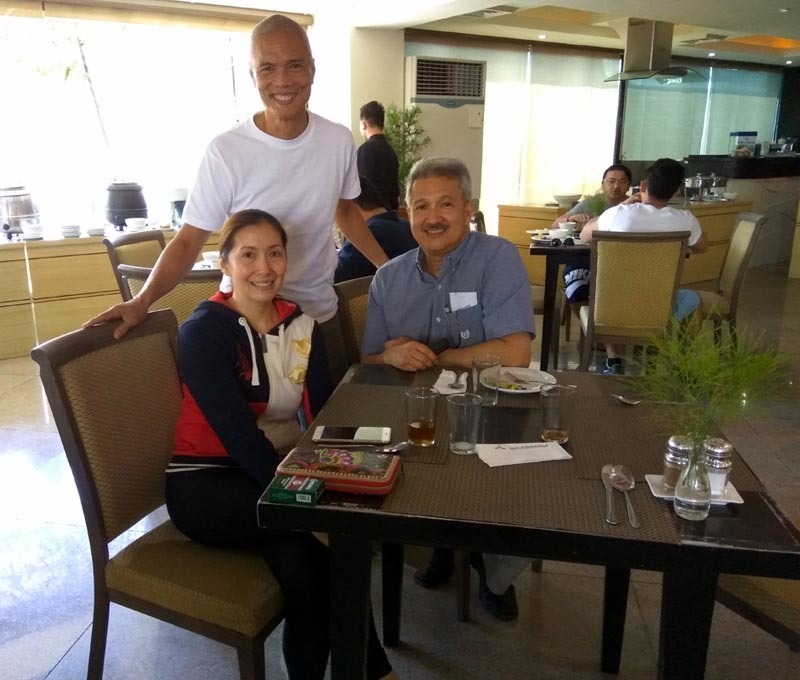 It was timely to have Ley in Davao while I was here. 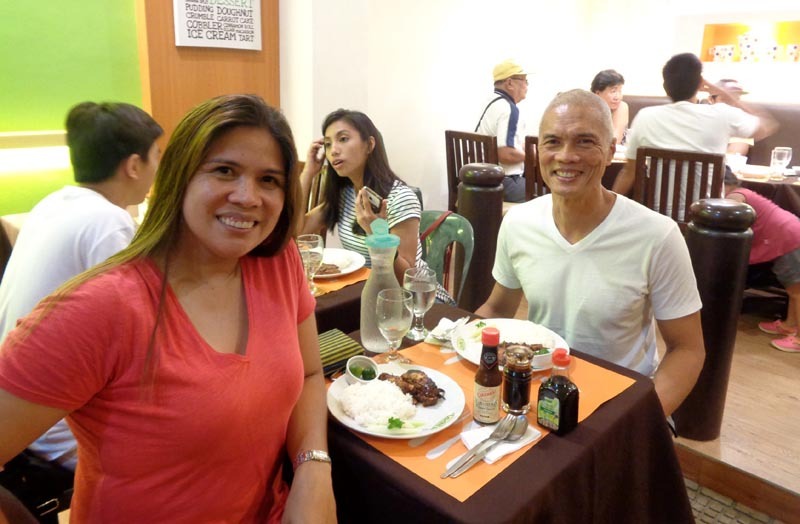 We met in Davao back in Jan 2013 when she was still the tourism point-person for Davao. We have become friends in the ensuing years. Now, we embark on a life of travel. 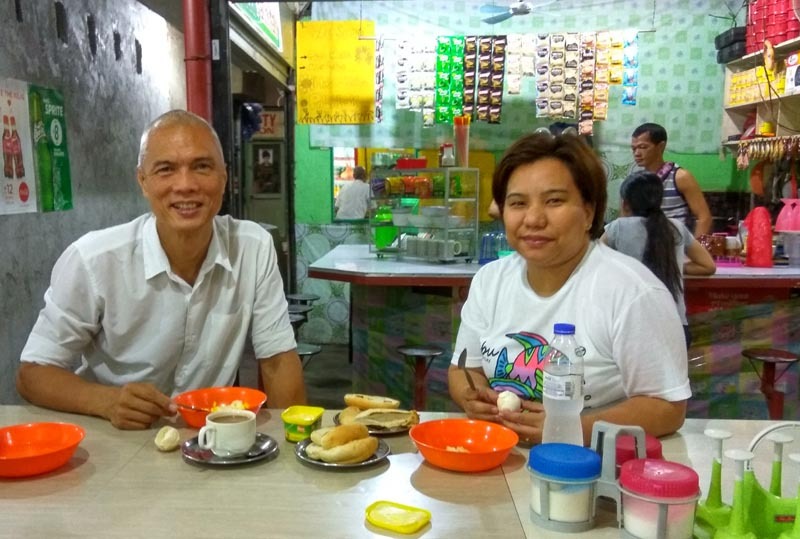 Here in Davao, she's often my breakfast guest and we would chill out for eats and durian. It's strange that we argue about things we agree about. Go figure! 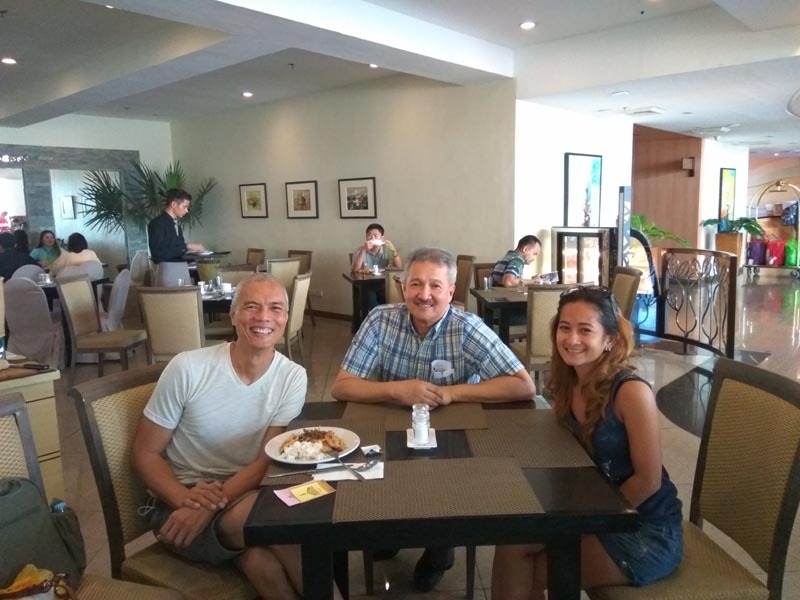 Looking for social interaction, I posted a shout-out to some members of the Couch Surfing community in Davao. 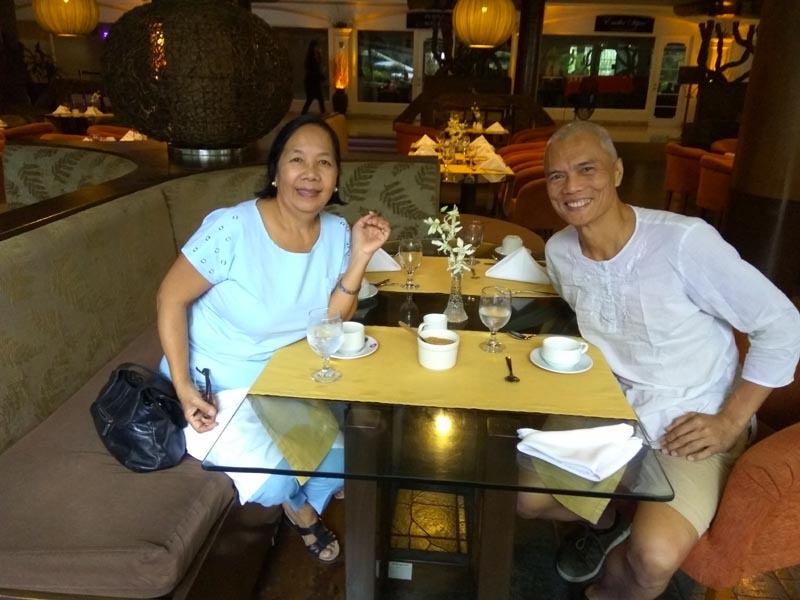 Faye replied and we hooked up for dinner at Lachi's Sans Rival. Faye is not your typical Filipina. She is smart, has a strong personality and established. She doesn't need a man for security. That is plenty enough to scare-off the traditional Pinoy. We got along well, traded insights over dinner and she even drove me home in her Noah's Ark, my euphemism for a huge SUV. I like strong women. Strong women seem to like me too. Nearly all women I've gone out with are strong, fiercely independent and smart. He overheard a conversation I was having with someone else, got curious, and joined our table. He asked probing questions about my story - no money, homeless, no property, no job, but happy and gets to travel around SE Asia. He invited me to dinner to 'pick my brains' and offered me a night in his hotel. Whoa! Dinner was with his friends where we shared stories and insight. Wonderful. The following day, there was commotion in his hotel. President Duterte showed up cordoned by tight security to see his doctor - who happened to be Dr. Ed! The good doctor would be joining me and my breakfast guests in the passing days. He's a grounded guy with a good heart. Mel is one of my clients who eventually became a friend - an increasingly recurring theme. What's unique about our friendship is that I get 'aha moments' when we talk. These are creative ideas that could make for good business. While I openly share ideas coming out of my 'aha moments' to friends, Mel is the only one who takes action on it. Consequently, a food tour came out of it and customized Anchor peanut butter. Now, my 'aha moment' consists of rebranding her resto - Bistro ni Tuding. 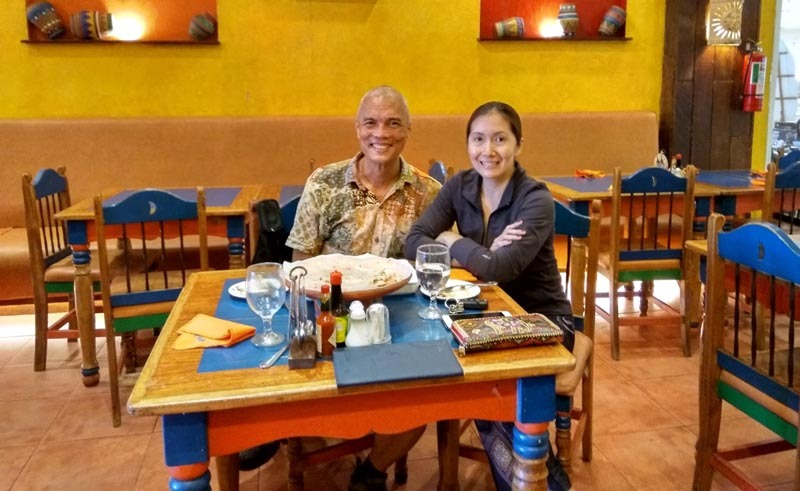 Joanna and I share a few things in common - yoga, Jeanne Torrefranca, Cebu and critical thinking. I attend her yoga classes as she attends mine. She can be an iconoclast if she feels any outdated modality is confining her in a box. I see TheLoneRider in her - one who welcomes the company of people but not reliant on it. Our coffee conversation is always engaging. My friendship with May Bel was a pleasant surprise. I was reintroduced to her by Juliet. Since then, I've attended her yoga classes, done work for the family business and been introduced to her husband Cliff and their kids. She's Wonder Woman, juggling yoga duties, business duties and Mom duties. I adore Juliet and Pinky. They have showered me with kindness when they didn't have to - and I am profoundly grateful. But apart from that, they are good energy - the kind I'd rather have across a coffee table for quality one-on-one conversation with. But it didn't happen - it always defaulted to big-group talk. One day. 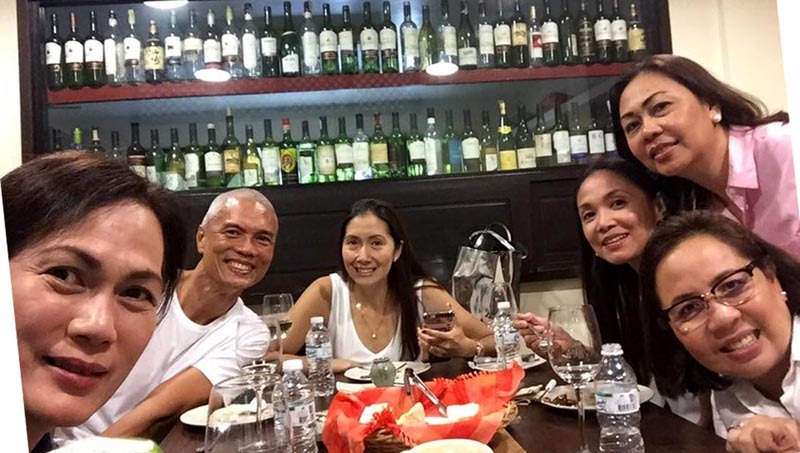 My 3 aunties and my uncle are my family in Davao. They have opened their doors and accommodated me if and when the wind takes me back to Davao. It's only late in life I got to bond with them. DNA family to me is abstract. They make it concrete. My mountain climbing days are over but my beloved UP Mountaineers remain close to my heart. I haven't seen my mountaineering brethren for a long while now. 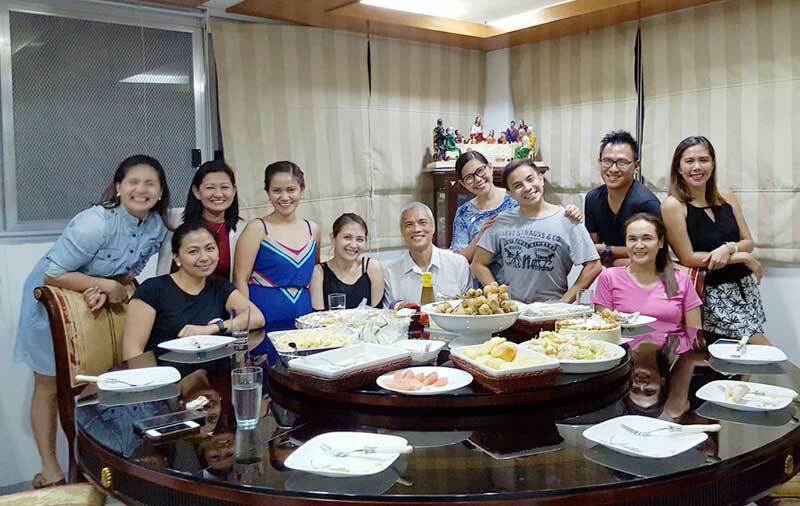 Bunny (former president of UPM) and Joy, came to town and were hosted by fellow members (Ricky, Bryan and family) who are now based in Davao. It didn't even occur to me that there are UPM members here. It was a fun night of storytelling and durian. 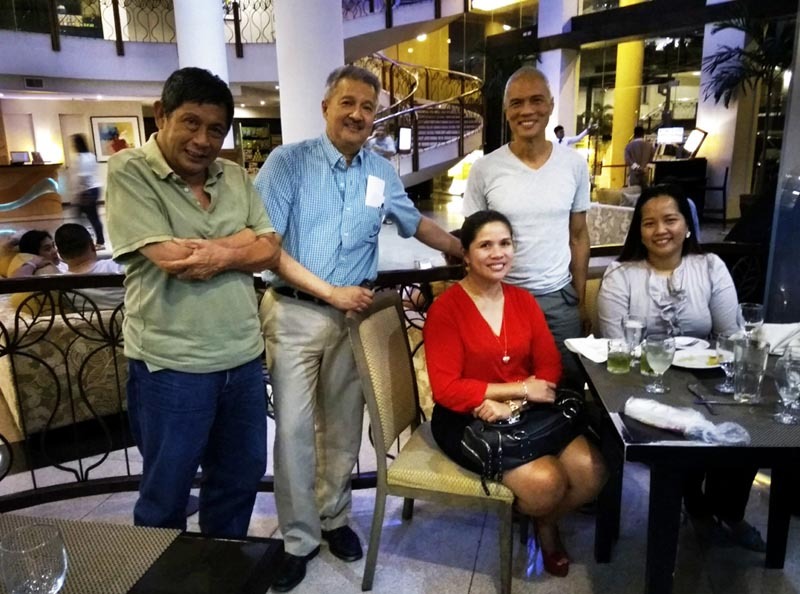 Great to know that UP Mountaineers members are based in Davao. 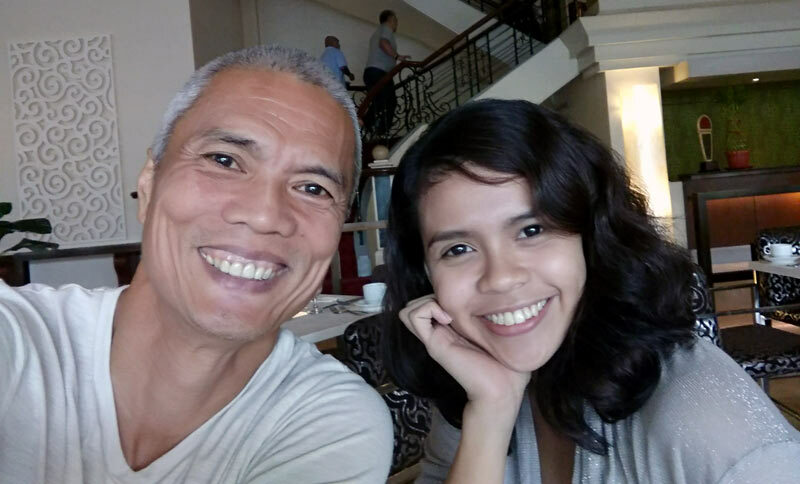 At Davao's Cinematheque, I met this dynamic duo, Leah and Melissa, who infuse new blood and vigor to Cinematheque's languishing public exposure. 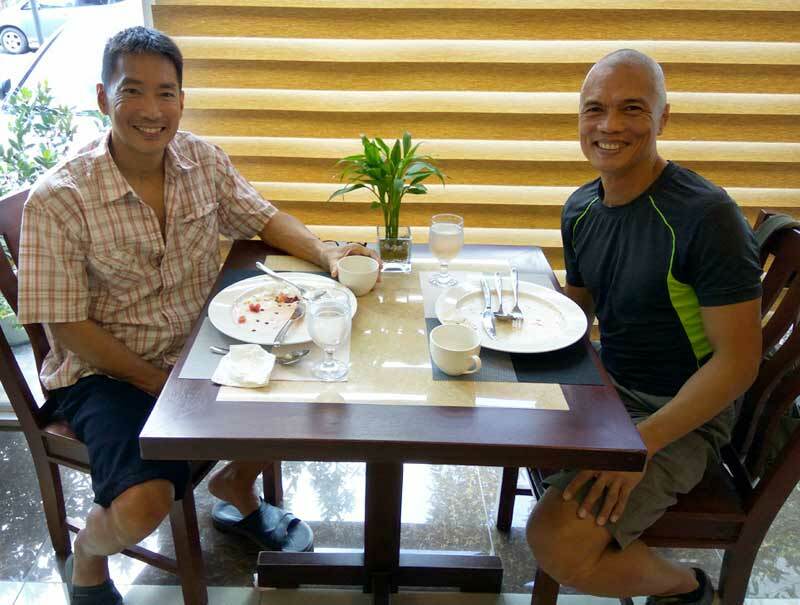 They've graced my breakfast invite and what ensued was an engaging tete-a-tete about art, film making and Davao. Doris attended my yoga class at Holiday Gym and we got into a long and animated conversation after. I learned she was a dentist and I asked if she could provide treatment for me. She said yes. 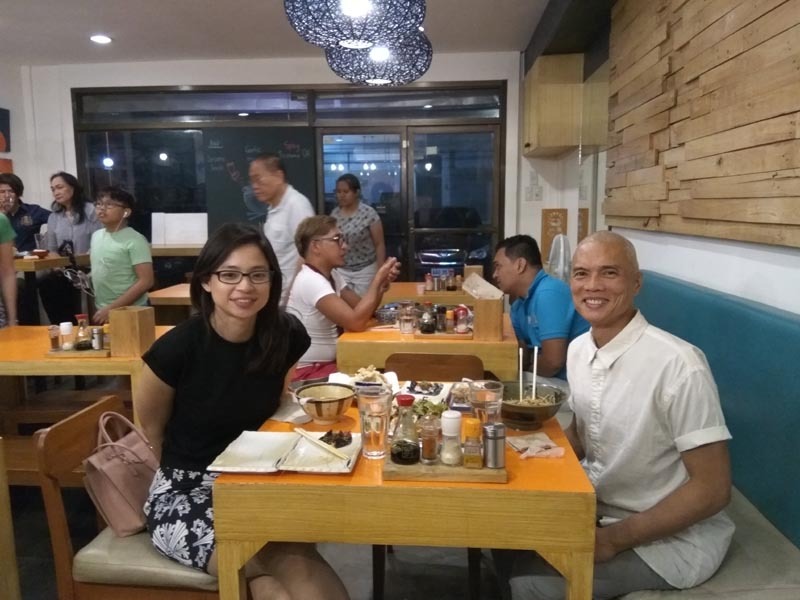 Later on, I found out she was Davao's most sought-after dentist - the dentist of choice by Davao's movers and shakers. She's not cheap but if you have the money, you won't settle for anyone less - you get professional competence and dedicated full-9-yards of dental service. Being the budget backpacker, I was already thinking how many trips to the blood bank I take to afford her service. Can I still back out? ha-ha! Her detailed treatment came with explanation to deepen my understanding. It also came with a loot bag - toothpaste, mouthwash and toothbrush. I wish I met her earlier. The price tag? Let's just say it was literally priceless. I will be thanking her in my own currency. When Joanna asked me to subb her class at Plana Forma, I met its yogic community. It was a pleasant curve ball I didn't expect. Apart from the studio yoga class, we also did a private class where they surprised me with birthday cake and a table lavished with regional specialties - a fun night I won't forget. Bonding with them was short and sweet. A fitting last hurrah before my departure. 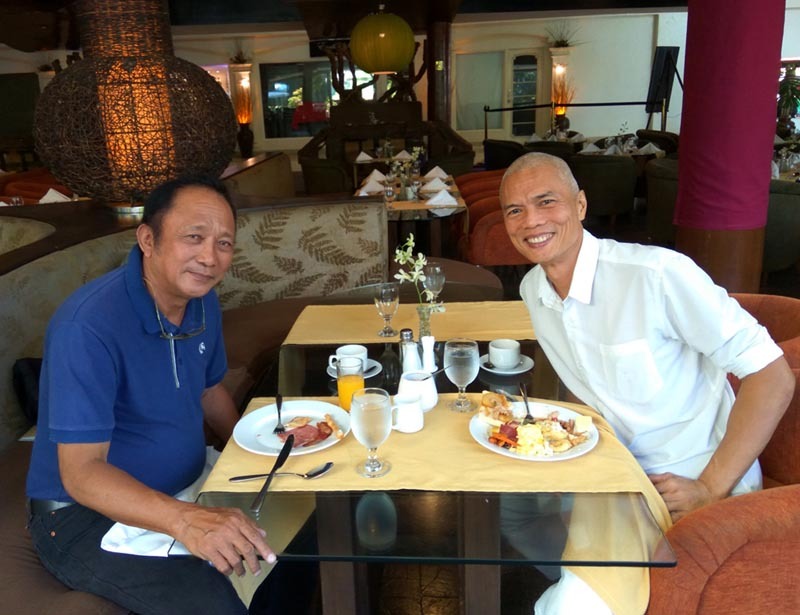 Davao, this time around, has been benevolent in nearly all respects. Again, I am vigilant to fortify old friendship and bridge new and promising ones. Some will be in passing and some will grow roots. I'm just grateful to stray within their orbits and connect. 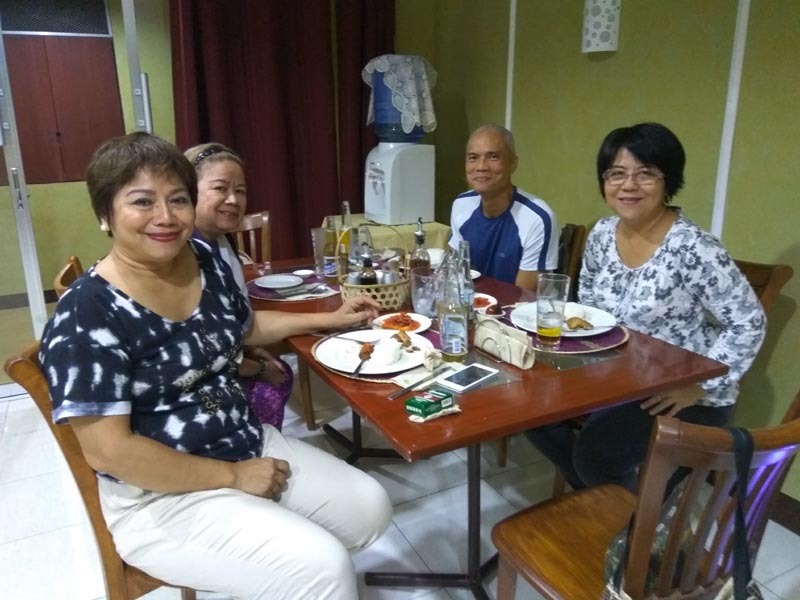 My social addage that the next magnificent life is just around the bend holds true - more so in Davao when every corner brings promise of good things to come.